MiyakoYoshida; charm of the world level has exceeded the "La Sylphide"
MiyakoYoshida has served as the highest principal in two Royal Ballet British over 22years by 2010 since 1988. She has received many awards, such as the UK Dance Critics Association, Best FemaleDancer Award, Order of the British Empire OBE. Miyako Yoshida, reigned as theUK Royal Ballet principal for more than 20 years in the technology and power ofexpression, and had been praised from the world. She played a "SleepingBeauty," "Swan Lake", "Nutcracker","Giselle", the leading role of "Don Quixote," such as thetypical classic. She had been a good girl role-fairy role such as"Cinderella," "Coppelia", "Romeo and Juliet". Shehad a skill comparable to the ballerina world by storm such as Sylvie Guillem,Alessandra Ferri, Nina Ananiashvili, et al. MiyakoYoshida's dance was always light. Lightness of which she played "Sylphide,was released from gravity" air of precision. 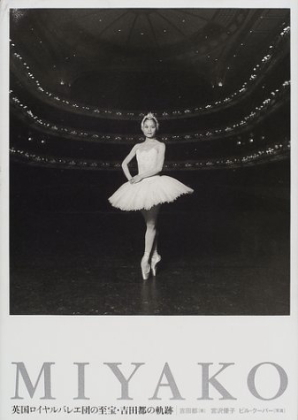 Miyako Yoshida's expression,shaking of Tutu was as drifting space to drift the air. Miyako Yoshida'sSylphide had a charm that can not be expressed in words. If you want to know the details of Ballet "La Sylphide", you will be able to know Ballet "La Sylphide" when you click on the letter below.